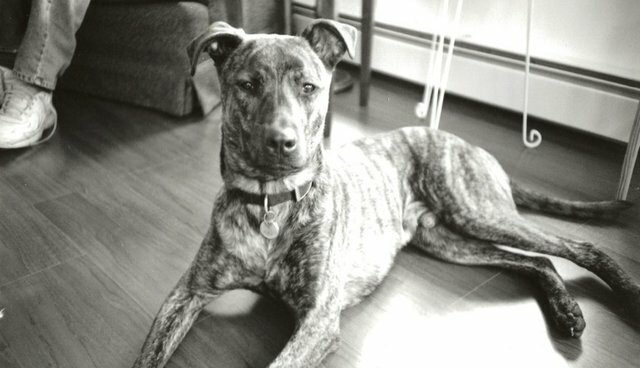 Earlier this year, when my dog Brando died and the crematorium called for information to put on his certificate, I told them what I had learned from a DNA test conducted relatively late in life: he was Bullmastiff/hound mix, not a pit bull after all. This isn't unusual. Just as many of us acquired our first pit bulls through kismet (a stray dog or a shelter adoption that we didn't realize was a "pit bull"), we have also come to discover, through DNA, that our pit bull isn't really a pit bull after all. A day later, I called them back. My decision had been bothering me. When I adopted Brando, the shelter called him a pit mix. For years I identified him that way too, and because of him I became deeply involved in advocating for the breed. Even my parents, initially skeptical, fell in love with pit bulls because of Brando. He had all the traits that those of us who love pits admire: he couldn't contain his enthusiasm for the people he loved; he was determined, but often proved that his determination was borne out of his intelligence; he could dance like no other; he was sometimes a bit overdramatic when things didn't go his way, or, more important, when anything separated the two of us. 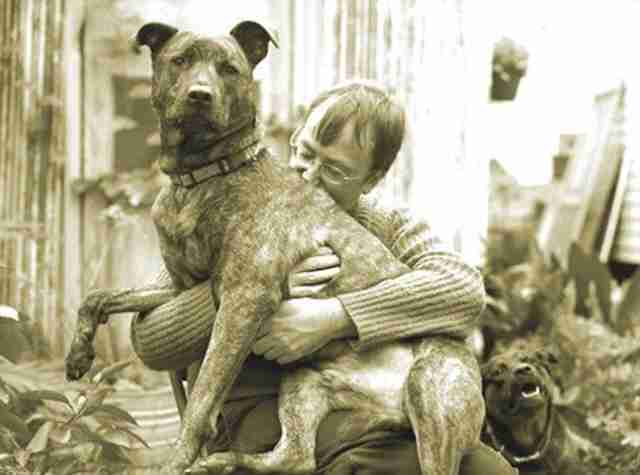 And over the years, through fostering, he raised a long line of dogs that passed through our front door. And, above all, he loved to clean ears. "I know this sounds odd," I asked, "But could you change the breed on his certificate to Honorary Pit Bull?" The woman on the phone didn't think it was odd at all, but when I posted this decision on Facebook, the response was mixed. Many people cheered the decision, while others asked "Why would you call him a pit bull if that's not what he was?" I couldn't quite tell what this question meant. Were they wondering why I would associate him unnecessarily with a breed that carries some negative baggage, or were they purists who didn't like the idea of a mutt taking on the name of "their dog." I was still too busy mourning to ask. In the past few years, there has been a growing movement to talk about dogs as individuals and demote the question of breed to a footnote. And I've certainly been a part of that important discussion. Too often we let our ideas of breed get in the way of evaluating and appreciating dogs as individuals. When people ask me why I love pit bulls, much of what I say-they are affectionate, funny, intelligent, more human than other dogs-are naturally what every dog lover says about their dog, regardless of breed. But for those of us who have devoted our time to pit bulls, there must be a reason that this is the dog who pulled us in. And there's nothing wrong with that. I struggled with this question when I began writing I'm a Good Dog. 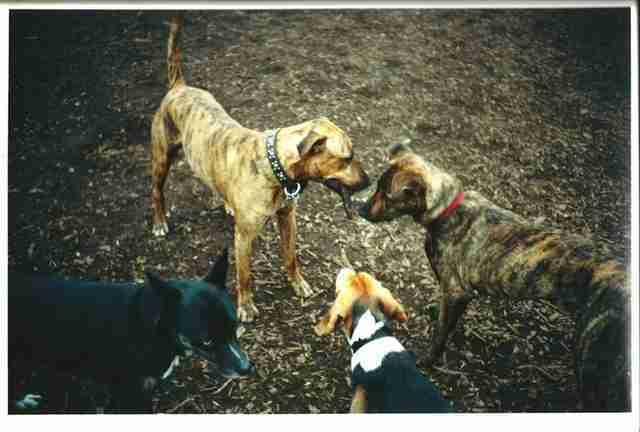 How do you write a book about pit bulls without defining what they are? And yet, how can you define a dog that has so many supporters who, in many cases, disagree on the history and standards of the dog. Do we choose a single standard among all the bloodlines and conformation standards (Staffordshire, American Bully, Pocket Pit, etc) or do we embrace the diversity of a wide range of dogs with similar traits? Do we speak for the American Pit Bull Terrier, or do we rally around all dogs who are assigned that label by shelters, lawyers, judges and the like? In the human world, most of us are able to recognize that while race and heritage shouldn't be a barrier, the solution is not to pretend they don't exist. We can celebrate and learn from our unique cultures, rather than wiping them away. And if we've been taught to pay attention, we can easily see through those false barriers to find the common qualities we all share. I think this should be the goal of those of us in the animal world as well.